Track expansion at GrandSport has been accelerated to accommodate the motorsport community with track rental and track days. Please watch our website for details. GrandSport Speedway is located in Hitchcock Texas just a short 29 miles south of downtown Houston just off Interstate 45. This is 12 miles north of the famous Island of Galveston. GrandSport is located in the town of Hitchcock, TX on a World War 2 Navel Base. There are numerous restaurants, hotels and attractions to see in the area. 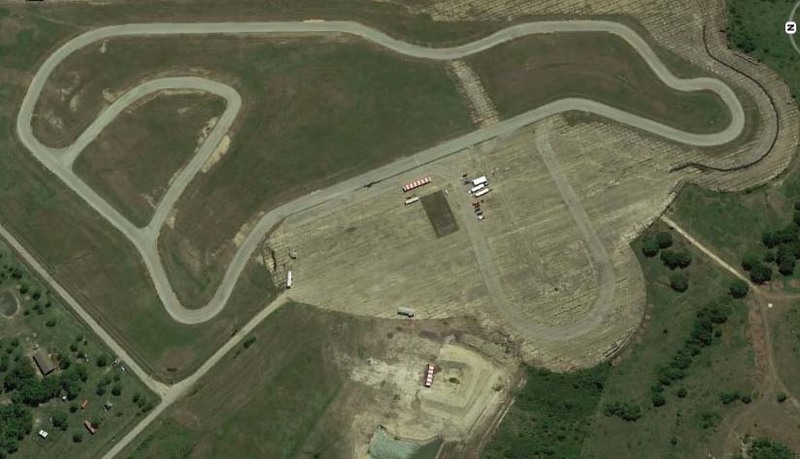 Once a private testing facility for Mecom Racing in the 1960’s the present day GrandSport Speedway is 10 years old with the completion of the asphalt in August 2007. GrandSport is built on a former Naval Air Station that was constructed in 1944 during the Second World War. 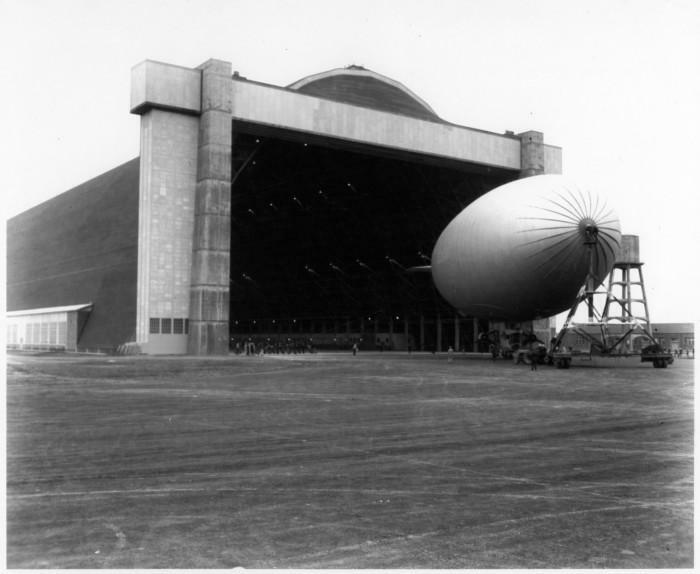 Known as the Blimp Base, NAS Hitchcock housed blimps that were flown over the Gulf of Mexico during WWII looking for Enemy U boats trying to sneak into America’s second largest ship channel into Houston. The Blimp Base was purchased in the late 1950’s from the US government by famed Texas Oil Tycoon John Mecom Sr as a head office and field operation for his oil companies. In the 1960’s the Blimp Base housed John Mecom Jr’s historic race car operation and airplane collection. Some of the cars garaged there were the Cobra beaters. In 1962 due to an agreement with the other two of the big three, General Motors had to hastily get rid of the famed 6 GrandSport Corvettes! They all went to John Mecom Jr at the Blimp Base in Hitchcock Texas. Some of the original buildings including the officer’s quarters, the firehouse, the laundry and mechanical shops are still standing on neighboring land. These building were once filled to the rafters with race car parts owned by Mecom racing. All that is left of the main Blimp hanger which was once the largest free standing wooden structures in the world are the four large concrete pylons 13 stories high that once held the hanger doors. They have become a local landmark. GrandSport Speedway was originally built mainly for the use of the Racing Adventures Driving School. GrandSport is a challenging track with lots of run off that can be completely viewed from anywhere on site by an instructor or spectator. The 9-acre concrete paddock will soon have 80 member garages and 60 day shelters for guests at GrandSport. Famed race car driver and driving expert Bobby Unser visited and drove the track and said he believes the 1.4 mile Mako Circuit to be the smoothest surface, technically best designed and most rhythmic tracks in North America. Colin Edwards ‘The Texas Tornado’ of MotoGP fame said if you could master this track you would be OK on any circuit in the world. In November 2008 The Speedway Drivers Search tested 30 new indycar drivers in Indycars on the Mako Circuit for the reality TV show ‘The Speedway Drivers Search’ ‘The Rookie’ and agreed with Unser and Edwards! The new Tiger Circuit will be attached to the Mako Circuit. The will create a 2.2 mile track. 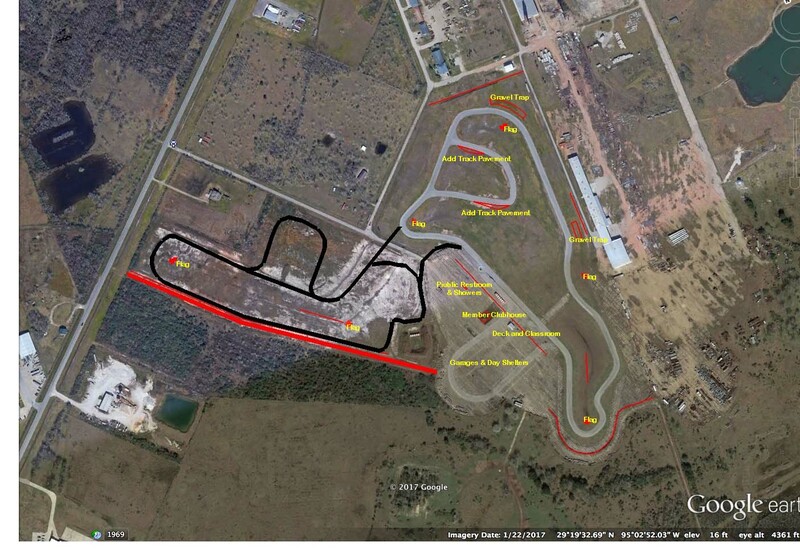 The Tiger Circuit itself will be one mile long equipped with its own hot pit area. Both tracks will share the general paddock. Below you will see the updates for the track that we are currently working on. Main buidling with 16’X40′ classroom space and meeting space for up to 100 people. Member Clubhouse. 7200ft on two levels with wrap around observation deck. Second floor to be also used as race control. Full track rentals will take priority over half track rentals. Includes Classroom, Bathrooms, Gate staff, Event manager. Ambulance/Safety truck is required@ $95hr. A 98dc limit will be imposed on all cars using the facility. Treaded DOT tires only. No racing slicks on cars over 2000 pds. Formula cars and smaller sports racers should be OK. Depending on the track rental it may not include traffic cones, sweeper, track dry, tow recovery vehicle, flags, classroom, Sun/rain shades or power. They may be required for your event. Take a look at our schedule for a date that works for you and give us a call. Some dates on our schedule may be flexible.